All Port Hueneme homes currently listed for sale in Port Hueneme as of 04/18/2019 are shown below. You can change the search criteria at any time by pressing the 'Change Search' button below. "HUGE PRICE REDUCTION...SELLERS WANT IT SOLD!!! Ocean Views!!! Highly desired and rarely available 3 bedroom and 2 bath Townhome in the beautiful Surfside IV gated community! Property offers vaulted ceilings, large and spacious kitchen with eat in area, separate dining area, step down living room with gas fireplace and spacious balcony which wraps around to one of the two downstairs bedroom. Second downstairs bedroom has its own bathroom serving as a possible additional master. Upstairs you will find the main master with full bathroom and additional balcony in order to truly take in the magnificent beach views and ocean breeze. Central HVAC system, in-unit laundry with stackable washer and dryer units included as well as all appliances including the refrigerator! Surfside IV community offers great amenities such as an indoor heated pool and spa, club house with billiard tables, gym, recreation area, banquet area and more Best of all, you can t beat this location! Sellers are extremely motivated and will entertain all offers!" "Awesome opportunity to live in one rent the other within walking distance to beach about 1/2 mile.Front unit features 3/1.5, attached 2 car garage and spacious private yard.Rear unit features 2/1 with private yard and entry. Units have separate utility meters for gas, electricity , and water. The two units sit on a spacious rectangular 10K sq ft lot with plenty of open space. Units are separate and have no shared walls. Come enjoy serene walks to local beach, pier,parks and shops all within walking distance. No HOA or Mello Roos fees here. A great opportunity lo live the California dream!!" "A rare opportunity to purchase this beautiful two-story Weston Built Home, in the highly sought after Pacific Collection. This 3 bedroom, 2.5 bathroom home, is waiting for your customization! With little updating this home will be a true beauty. Wood like flooring installed downstairs, carpet installed upstairs, and freshly painted white walls throughout the house. The home opens to a grand room with vaulted ceilings and palladium windows. The home boasts of many windows and architecture design. Let's not forget the location -- walking distance to the beach, Seabridge, the Harbor, Ralph's Shopping Center, Starbucks, Manhatten bagel, The Habit, BofA and Chase just to name a few. Motivated Sellers! Make an offer!" "Rare Offering! Fabulous Beach Home located in the desirable Anacapa View Beach Homes Community. Live at the beach in this Single Family 2+2 in Gated Community. Ocean views from the dining room balcony. Home has attached 2 car garage, private patio and balconies. Move in ready. LOW HOA DUES! Make your dream come true! The BEACH is about 1/2 block from the house. Walk to the sand in 2 minutes! Come walk the quiet beach and enjoy the Sunsets. Make your every day a vacation in this special home. Anacapa View Homes complex is gated and has a well maintained complex pool, spa, and sauna. Port Hueneme has been called the 'Best Beach bargain in Southern California'." "Beach Within Reach! An Amazing 2 bedroom 2 bath Single Story. Surfside IV's best unit across from Huneme Beach. This home is spacious, light and bright. Updates in the kitchen, living room, bedroom and baths. Too many to list this home is a must see. Relax on the perfect patio facing the beach. Includes designated garage. This home has every comfort in a beautiful beach setting." "Two parcel in one 115 & 117 E B St ... Front house has spaces living room open space to the kitchen 2 Bed room with Carpet floor ,one full Bath approxmately 1274living space , including new kitchen, and remodeled bathrooms. All new cabinets, fixtures, new appliances and finishes.A bright and truly welcoming home . The back unit upstairs 1 Bd 1 Bath ,Studio open space, New kitchen ,new cabinet new, appliances ,new remodeled bath room, 720sf including two car garage Down stairs, Washer and dryer room down stairs, R V Excess The back yard has big Avocado tree"
"Beautiful, spacious single family home only a few blocks from Hueneme Beach and Naval Base. This tri-level home built in 2006 features 3 bedrooms 2.5 bathrooms. As you enter the first floor, there is a den with a half bath, closet, fireplace and entrance to the garage and side patio. This room is currently being used as a bedroom but could be used for game room, kids play room or many other uses. The second floor is open to the family room with a fireplace and kitchen which features granite counters and newer stainless steel appliances. The high ceilings gives lots of natural light and make the rooms feel much bigger. There are 2 bedrooms, full bath and laundry room also on the second floor. The 3rd floor features a huge private Master suite with high ceilings. Master bath has marble counters with duel sinks, and large walk-in closet. Also on the third floor is a loft/office area. At 1,894 sq feet, you have lots of rooom for entertaining.For those hot summer nights, this home even has air conditioning. Beach life at a great price." "Great Location in center island in this Beachport community ! 3 bedrooms with each bedroom has its own Bathroom . Walk in to open floor plan. Nice upgrades in Kitchen. Two car attached garage . Private room for washer and dryer. One bedroom is down stairs. Large master bedroom with open balcony that's very private. Close to parks ,tennis complex, beaches and shopping"
"Located in the Beautiful city of Port Hueneme This 4 bedroom, 2 bathroom with a office/den room is great for large families or any one that just wants a lot of space. This Property has a large living room/family room area, and a covered patio area.New paint through out the house, remodeled Kitchen and Clean carpets in the bedrooms. The Heater has been updated from the original. 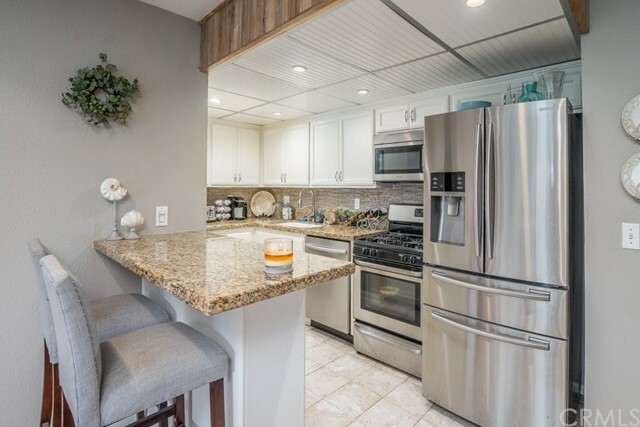 A must look at in the Beautiful city of Port Hueneme"
"Serene and tranquil...this beautifully appointed Surfside IV end-unit has views looking out on Miranda Park and off to the Topa Topa Ridge. Cathedral ceilings and ample windows give this home an open, light and airy feel. Thermal gas log fireplace in living room. The kitchen and baths have upgraded recessed lighting. The kitchen has been updated with European-style white lacquer cabinets, quartzite countertops and a decorative glass tile backsplash. Add to that a built-in lazy susan, Bosch dishwasher and a new sink and disposal.The master bedroom has two closets, each with Elfa closet systems installed. The master bedroom bath has beautifully upgraded tub and tiled enclosure. Second bedroom/office features built-in shelving. Hall bathroom also has an upgraded shower enclosure. One car garage with loft storage and an additional storage closet. Newer furnace installed by Pacific Aire. There are only 18 steps up from the garage to your front door. Enjoy the indoor pool, clubhouse, exercise rooms, billiards, library and more at the Pelican Club conveniently located in the very next building. And just outside Surfside IV's gates lies the Hueneme Pier and miles of beach and walking paths to enjoy." "Located in Hueneme Bay, a 55+ Senior community with Clubhouse and 9 hole golf course. This upgraded home is located in the desirable Villa neighborhood. Open, light and bright living room with beautiful wood flooring, recessed lighting and large wood burning fireplace. Upgraded, spacious kitchen with granite counter tops, stainless steel double sink, stove with double, self-cleaning ovens, microwave and dishwasher. Beautiful wood flooring. Spacious bedrooms and bathrooms. Central heating and air conditioning. Solar water heater. Washer and Dryer optional. Almost 1500 total sq ft including enclosed sun room. Private backyard, surrounded by lush plants and mature trees. 2-Car attached garage. Clubhouse area includes tastefully decorated lounge with fireplace; kitchen, pool, showers, spa, saunas, billiard room, computer room, multi-purpose room, conference room, library. All available for use by owners. This home is priced to sell and a must see!" "This is a rare end unit with Ocean views. Lots of windows and sunshine in the afternoon's . Two bedrooms with 2 full baths wood burning fireplace . Easy access with elevator to 2nd floor . All on one level with storage closet right outside front door. Very close to the club house with pool and spa indoor glass enclosed club house a must see." "Great opportunity for a lucky buyer! This turn-key ranch style 3 + 2, is a charmer in every sense. Some of the lovely custom features include: granite counter tops accented by elegant cabinetry. The scraped ceilings, recessed lighting with new fans, add to the inviting flow of this floor plan. And, you can enjoy quiet efficiency with your new dual pane windows, remodeled bathrooms, lovely ceramic tile, and more. Close to schools, shopping and Port Hueneme Naval Base; a very nice home in a wonderful neighborhood." "Let the ocean breezes carry away the stresses of life in this beautifully updated Surfside 4 home. From the moment you enter you'll enjoy the vacation lifestyle in the open floor plan with smooth ceilings and recessed lighting. A large sliding door provides access to the spacious downstairs patio, ideal for entertaining friends and enjoying your ocean view. The kitchen which opens to the living areas has been updated with custom finished cabinets, tile countertops and stainless steel appliances. Retreat upstairs to find two en-suite bedrooms along with upstairs laundry. The master includes a separate balcony perfect for enjoying a glass of wine or cup of tea while you take in the ocean sunsets. Both bathrooms have been beautifully renovated and offer a touch of the spa at home with furniture style vanities and contemporary fixtures. This conveniently located condominium is inside the gates of Surfside 4 community, which sits just across the street from the beach. The complex offers a variety of community benefits that include large recreation room, interior gym, indoor pool, spa, as well as a sauna. For outdoor fun load the single car garage with bicycles, surf boards, and kayaks to enjoy the ocean and the sandy beach just steps away." "Desirable, large floor plan with 3rd bedroom located privately behind garage for office, guest room, caregiver or extended family. Living room has stack stone fireplace and French doors that lead to a sunny back yard with covered patio and planters. Kitchen has been upgraded with newer cabinets and custom tile back splash. Windows are dual pane throughout. Solar panels cut back on power bill and are paid for. (Photos were taken prior to tenant moving in.) PSL has been inspected and is clear." "Step inside and experience the peaceful serenity this home has to offer. Enter through the privately fenced front porch and see why this 3 bedroom 3 bath home is absolutely charming. With the dining room opened to the kitchen, this multi-level end unit has an abundance of natural light flowing throughout the open floor plan. This home features dual pained windows, sliders, vaulted ceilings and beautiful wood-like flooring throughout. The spacious living room has a cozy fireplace and glass sliding door leading to the back patio. The lower level includes the large guest bedroom and master suite with master bath, a walk-in closet and direct access to the patio. Upstairs you will find the additional master suite complete with large closet and private bath. Situated in the desirable quiet Harbor Lights Community, close to schools, parks and just minutes away from the beach. The tranquility and wonderful surroundings will make this a home you never want to leave. **very convenient to visit. Just 1 hour notice**"
"Gardeners Dream Home! With the extra-large floorplan and yard, this home is perfect if you like spending lazy days outdoors. Spacious floorplan. Skylights add natural brightness throughout the kitchen, sunroom, and living room. Get cozy in the living room with a fireplace which warms up the coldest of evenings. This home has three large master bedrooms, each with their own entrance for convenience. Laminate wood flooring throughout the living room, sunroom, and bedrooms. There is additional square footage due to addition in the kitchen, sunroom and bedroom. Butcher block in the kitchen is ready for the chef at heart along with spacious counters and lots of cabinets. The dining area overlooks the large and luscious backyard. Walk out to generous back yard where you will find a bounty of plants, grass, and an enlarged covered patio that greets not only the sunroom but also a bedroom. This home sits on a quiet culdesac in the heart of this sought after community. This home is turnkey and priced to sell! 55 or older development." 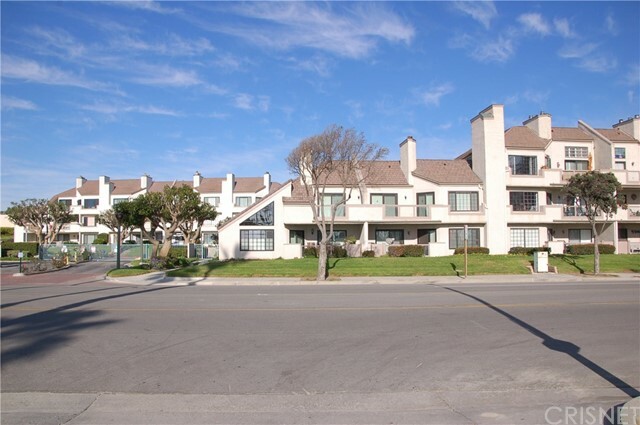 "Upgraded 3 Bedroom Corner Unit Condo Steps from Hueneme Beach Park. 707 Reef Circle is an incredible opportunity for someone dreaming of living a coastal lifestyle with views of the beach. Within walking distance from the unit is the Pacific Ocean, Port Hueneme Fishing Pier and miles of beachfront walking paths. This home has been thoroughly upgraded and is in turnkey condition. The kitchen has been modernized with white cabinets, granite countertops, backsplash and stainless steel appliances. Recessed lighting has been installed and the flooring has been upgraded to laminate wood flooring and tile. Community amenities include a fitness center and an indoor swimming pool/spa." "Newly remodeled 2 bedroom 2 bathroom Gem near the Beach and Channel Islands Harbor! Hueneme Bay is a 55+Community nestled between Malibu and Santa Barbara along the Gold Coast of California.This amazing home has a brand new kitchen that includes a Samsung stainless steel gas stove, new side by side refrigerator with water/ice thru the door, new dishwasher & microwave, quartz countertops throughout. Home includes separate craft/hobby room, private porch and large backyard patio, a spacious 2 car garage.Low-maintenance lifestyle that includes a golf course, heated pool, hot tub, billiards. All in a beautifully landscaped community with mature trees and lots of open spaces for walking your pet or just strolling along smelling the Ocean air. Ample Guest parking in this quiet and tranquil Senior community. This one is not to be missed!" 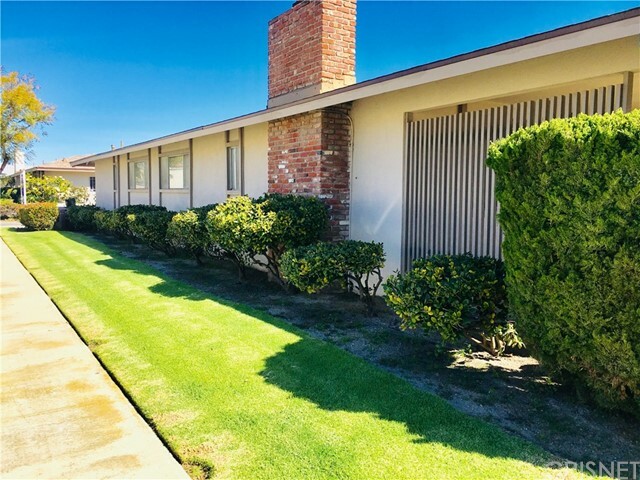 "**CALL/TEXT AGENT FOR GATE CODE** Surfside IV community is in a desirable area with Port Hueneme beach & pier right in front !This 2 story condo is a 2 min WALK TO THE BEACH, with two beds and 2 oversized closets. Condo has 2 balconies with downstairs balcony having direct access to community pool ! Super spacious garage for your surfboard and all your beach essentials !Complex Amenities : Clubhouse, indoor heated pool, spa, sauna, kitchen area and a gym! The beach is your backyard so its a definitely must see!!" "Turnkey, 2BR/2BA condo with breath taking ocean views from this top floor unit with vaulted ceilings and loft which is very rare to come up for sale in this complex! Single level condo with elevator access in the building. Laminate flooring and recessed lights and ceiling fans in living room and both bedrooms. Brand new carpet in bedrooms. Dual pane sliders and windows throughout. Upgraded kitchen cabinets and quartz counter tops. Stainless steel appliances included. Upgraded bathrooms. Laundry closet in hallway with hook ups for full size washer and dryer. Spacious balcony to enjoy the ocean views, Ocean breeze & marvelous sunsets. Clubhouse with recreation area, gym, indoor pool & spa which is heated year round. Sport courts in the back of complex and outdoor BBQ area and children's play area. Direct beach access from this complex. Beautiful beach retreat with ocean views which you will not find anywhere in California at this price!" 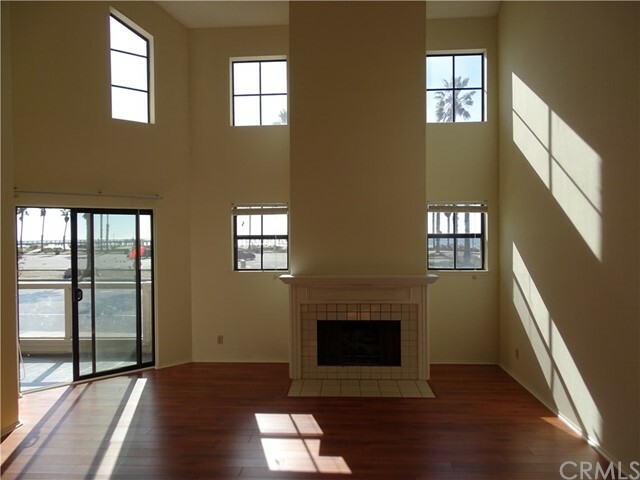 "Amazing coastal community townhome in Port Hueneme. Built in 1992, this 2 bedroom 3 bath home is bright and open with vaulted ceilings. This corner unit is clean and spacious, just under 1500 SF of living. Walk into a welcoming entry that leads to the living room with fireplace and private patio. Open staircase takes you to 2nd floor great room for dining, cooking, family entertainment area and guest toilet. The top floor has 2 bedrooms each with their own bath. Full size washer and dryer hookup. The 2 car attached garage also has a large work / storage area. This Townhome sits towards the back of the complex and is a hidden gem in the coastal community of Port Hueneme. Just 60 miles north of Los Angeles between Malibu and Ventura. This home is just blocks from the beaches, Port and Navy Base."